Mittens Writes: Word! Or, Stop the Wonkiness! I always wrote in Open Office. Well, not always, but for the last few years, at any rate. I never had an issue with it. It worked fine, has a lot of useful downloadable extensions, and best of all, it's free. And then I tried submitting my manuscript to Literary Agents. For those who aren't writers, I'll tell you it seems like the entire publishing industry uses Microsoft Word. When an agent, or editor, or even a critique partner, asks to see your whole manuscript, it has to be formatted so that the recipient can actually read it. That is the whole point of sending it, after all. It turns out, Microsoft Word has some sort of formatting allergy to things written in Open Office. Even if I save the file as a .doc Word file in OO, the formatting would sneeze somewhere during the conversion process, and it never seemed to have a hankie close at hand. Headers, footers, page numbers, margins, spacing, chapter breaks, and everything else would end up in a jumbled slush of word soup. The event that finally sent me to the Dark Side was innocent enough, but doubly mortifying for me. Several months ago, I sent my full manuscript to Spectacular Agent Person. She emailed me that she received SOMETHING, but she didn't think it was my manuscript. It was about 80,000 words shorter than my MS, and was WONKY, WONKY, WONKY. The formatting exploded when she tried to open it in Word. I quickly went over the submission, opened it up in OO, redid ALL THE FORMATTING, and sent it along again. Lucky for me, it worked that time. I felt like a moron, but it worked eventually. I was just lucky that Spectacular Agent Person was nice enough to point out my embarrassing error and let me resend it. She could have written me off as a lunatic and hit delete. Fast forward about five months. After I finished ALL THE EDITING, Spectacular Agent Person miraculously asked to see the revised MS. When I fished ALL THE SQUEEING, I took my .odt OO file, reformatted it as a .doc Word file, and sent it on its merry way. First thing the next morning, I had an email from Spectacular Agent Person, wondering if I sent the right file. It was 17,000 words (What happened to the other 86,000 words?! ), and the formatting was once again described as "strange." I scrambled to reassemble my tattered document, screwed up the formatting even worse before I finally made it at least passably readable, and sent it along again. I apologized for the horrible formatting, and blamed it on Open Office. Surprisingly, Spectacular Agent Person agreed with me, and advised me to do anything I had to do in order to get Word on my computer ASAP. So I did. I won't even go in to the day-long ordeal of trying to download Word. Needless to say, I finally got it installed, and spent most of the day today trying to de-wonkify Running Down the Dragon. I'm FINALLY satisfied with how it looks. Moral of this story: If you are an author, and you are not using Word, go buy it now. If you can't afford it right now, I at least encourage you to send a test file to a friend, writing buddy, critique partner, or ANYONE who has Word installed. Let them open it up and make sure it is actually readable before you send it to an agent! Use your Horse Sense! Be like George! *And yes, this horse is really named George. Thank goodness for a patient agent or who knows how long before you'd have discovered the ... wonkiness. I know! It makes me wonder if any of my past submissions were really messed up, and the agents just didn't say anything. Scary thought! You could always send it as RTF (rich text format) which both OO and Word can deal with. That said, if all they want to do is look at it and not edit it, why not PDF? Publishing's attachment to Word is surprising. I'm glad your agent was kind enough to ask you t resend. Mine wasn't. I hope you enjoy Word! I'd be lost without mime! I also happy you finally gt everything straightened out! I know exactly what you mean with this--I had this problem around this time last year, when I didn't have Microsoft Office on my computer anymore and was forced to use OO to write and format files before I sent them off. It definitely doesn't play well with Microsoft Word, no matter what file type you save as. I'm really glad the agent asked you to resend, though! I know there are plenty of agents who wouldn't have done that. Good luck with your submissions! I like your posts and especially this one as, with medical bills, am unable to afford the horrible MS (as in Microsoft) Word costs at this point. Your agent must be 'Spectacular' as mentioned in previous comments. Good work and sorry for all of your troubles. Yes, I do believe publishing has the corner on MS, all sorts of MS really. P.S. 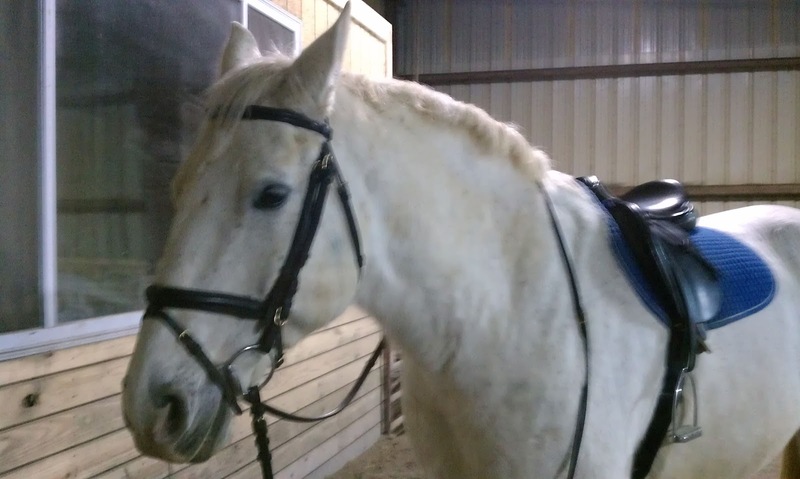 George makes me miss my horse, Blubar!